As a wife and mother who is employed full time with a lengthy commute, exercise is sometimes a luxury rather than a necessity. I frequently cram it, exercise that is, into the day when it really doesn’t fit. Like, I should do that massive pile of laundry BUT I’m going to take Michael and go run with the jog stroller instead. That pretty much defines this week. We crammed a lot into a little time. Aby’s done with track so it was “make-up” week where we tried to get our life back and still take care of business. Dentist & Group run. I’ll spare you the bloody photo of them pulling Aby’s tooth. However, we followed up the dental visit with a Tuesday run with the F’N Running Club. Gotta balance the bad with the good, right? “Big People” Appointment & Zoo. 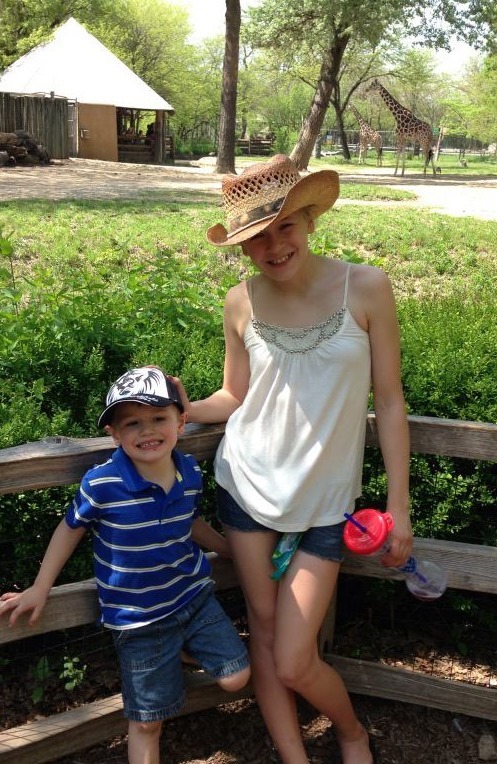 Quality time with the kiddos has been mostly in the car as of late. One parent present at a time. Probably won’t win us parent’s of the year but I think they dropped our application years ago, so no worries! Anyhow, we needed a day off for “big people” stuff and then decided to take the kiddos and hit the zoo for some good ole family fun. 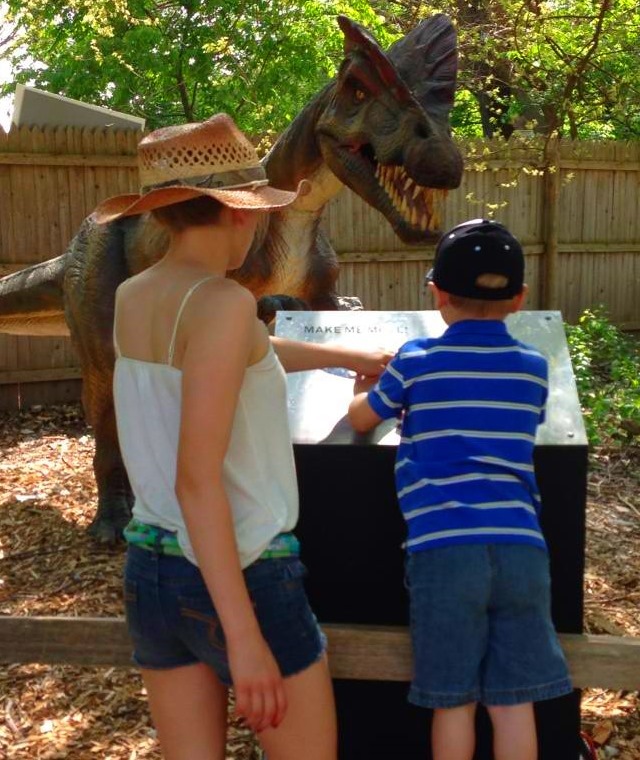 The Dinosaur’s Alive exhibit at Brookfield Zoo was a big hit with us! 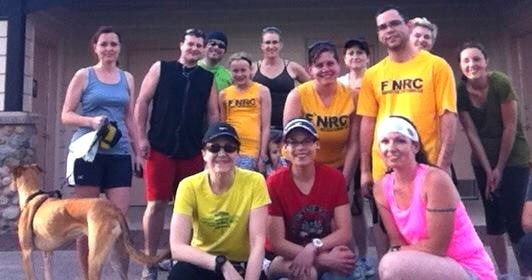 Then we hit another FNRC run last night as a family (you can barely see Michael peaking out of the jogger beside Aby in the middle) after I promised Aby ice cream if she could manage to slug a few miles out with Michael and I. So we’ve had a busy week but still managed to have some fun. All my run miles have been slow, back of the pack runs with Michael in the jogger and my shoulders burning because the jogger and I aren’t friends.. I’ve biked on the trainer a few times and tried my best to get the house back in order. NOW, I’m looking forward to the weekend. No family affair this weekend. I’m heading to Peoria, IL to spend some time with a few of my favorite Team Tough Chik members (Jess, Shannon – The Original Tough Chik, Carmen & Nicki T) as we show Run River City how to put together one TOUGH relay team. Go Toughies!!!! 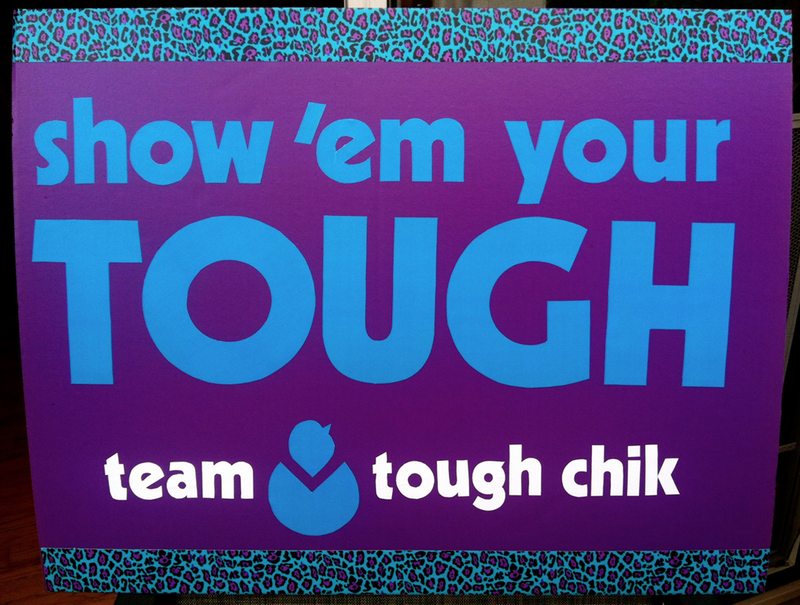 If you are headed to Peoria to Run River City, look for our Team Tough Chik relay. Or the amazing sign that Jess made which I’m sure will pop up around the marathon course. This entry was posted in Cross Training, Family, Running and tagged F'N Runners, F'N Running Club, FNRC, marathon relay, Run River City, Running, Team Tough Chik by tootallfritz. Bookmark the permalink. I think it’s so awesome that you prioritize staying fit and make sure to get your runs into your schedule. I’m hoping I’ll be able to do the same when I have kids. 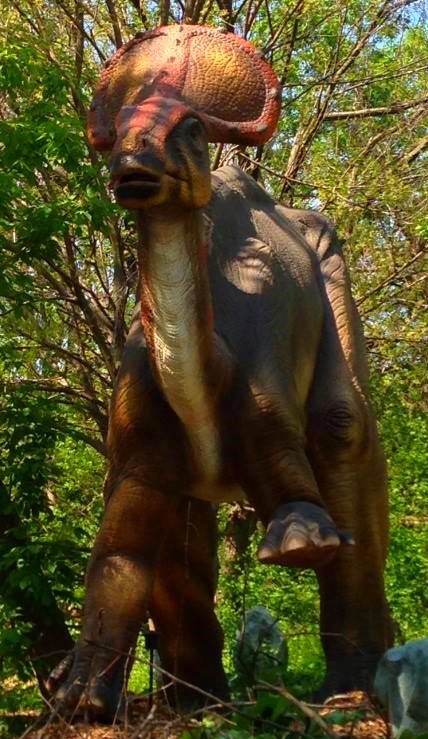 🙂 The zoo looks like it was a lot of fun and that dinosaur exhibit looks like it was really cool. 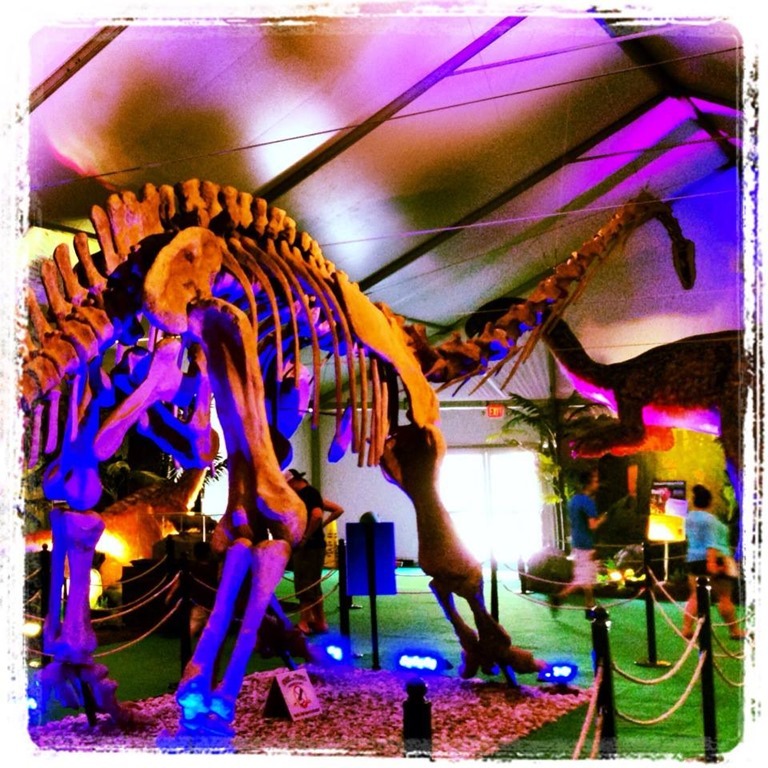 Now I have to figure out how to trick my fiance into taking me so I can check it out. Good luck with the relay! Run strong! I think you are amazing to do what you do Amanda!! Go Tuff-Chik…show em “Your Tough Enough!” That’s that song by Jimmy Vaughan! 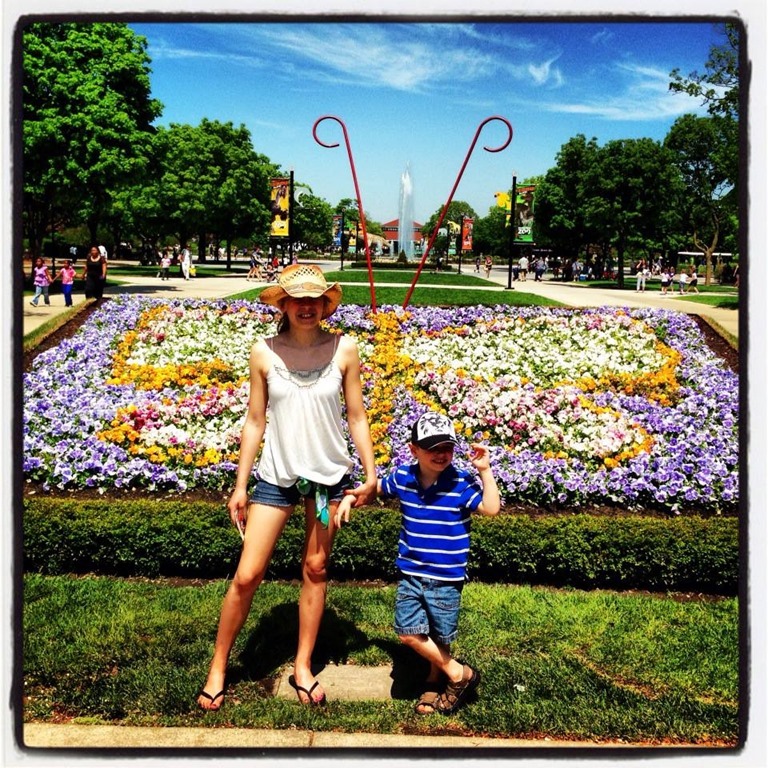 You are such a great role model for an active, healthy and loving Mom!